cost Please contact us for packages available. Let the magic of the Middle East delight and enchant your little girl and her friends! Run out of ideas of what to do next for your little princess for her next party? We have the answer! An Arabian Princess party! This is a wonderfully unique way to celebrate YOUR little princesses special day and to entertain and amaze her friends. She will be the envy of all her friends and will absolutely LOVE the glitter, shimmer and glamour of having an Arabian Princess party! Kids love to dance and will be mesmerized by the dancers movements and elaborate costumes and props. 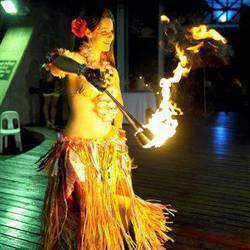 Summer is the perfect time to have a Hawaiian pool party!Polynesian dancers are a must for any Island or Tropical theme party, and perfect for summer pool parties. Join us on Facebook - Goddess of the Dunes professional belly dance company.